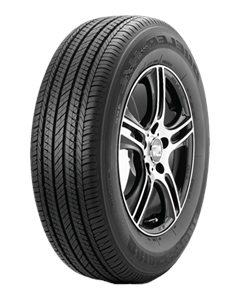 The Bridgestone Dueler H/L 422 Ecopia is an ecologically oriented Crossover/SUV Touring, All-Season tire developed for the drivers of small- and medium-sized crossover and sport utility vehicles. They combine year-round traction, handling and comfort with reduced environmental impact (as compared to the Bridgestone Dueler H/L Alenza). Sorry, we currently do not have any tyres with the Dueler H/L 422 Ecopia pattern in stock.